A man, to make a success of prospecting, must have what is known as "a good eye for a country." Given that faculty he will readily pick up the little knowledge of surveying that is sometimes almost indispensable. A tape measure, and a prismatic or surveying compass, are all that he is likely to require in laying off to his own satisfaction the extent of his claim, or any similar simple operation. 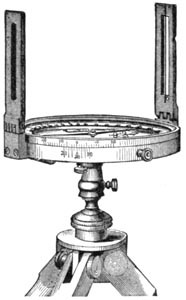 The surveying compass has two fixed sights, and a Jacob staff mounting, into which a wooden support is inserted. The north end of the compass is always pointed ahead, while the needle, which of course indicates the magnetic north, gives the bearing of the line run toward that north. Now, magnetic north is not by any means the same thing as true north, in fact in very few localities on the earth's surface are they the same, and then never for long. In the extreme east of the United States the needle points some twenty degrees to the west of true north, and in Alaska it points thirty-five degrees to the eastward of it. There is therefore one meridian somewhere in the central valley where the true north corresponds with the magnetic north, but as the magnetic pole is always shifting this never remains true of the same meridian for long. When there is no local magnetism from iron ores, or rocks containing magnetite, the needle is fairly reliable, though never perfectly accurate, but when such attraction exists the compass is unsatisfactory. Such areas of attraction, however, are usually limited, and by squinting back, taking what is known as a "back sight," a local attraction may be detected, and in that case ranging by rods must be resorted to until the compass needle once more seeks its true position. To range by rods the course of the line having been determined by retracing the route followed to the last reliable mark, a stake is driven in at that point, and the surveyor standing some little distance behind it on the correct line directs an assistant to place another rod in such a position that the first hides it from view. It will then be on a prolongation of the line, and this operation being continued the surveyor will, in due time, find himself beyond the reach of the local attraction that deflected his needle and can resume compass work. A chain is 66 feet long. Oftentimes in mountainous or brush-covered countries a half chain of 33 feet, made of light wire links, is preferred. Two men do the chaining, which could of course be done by means of an ordinary tape measure in an emergency, the leader carrying ten pins of iron or wood, and the rear man taking one up as each chain is measured off. When all are used, ten chains (1/8 mile) have been covered. The men exchange pins and the tally man, usually the hind chainman, calls out "Tally one," and cuts a notch in a stick. Careful chaining is the essence of good surveying. 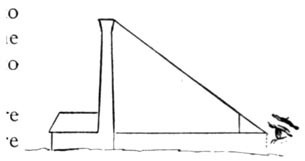 The chain must always be kept horizontal, or else an allowance made for the inclination at which it was held when the measurement was taken, otherwise the results will be misleading, for all surveyors' measurements of areas are theoretically on a flat surface. 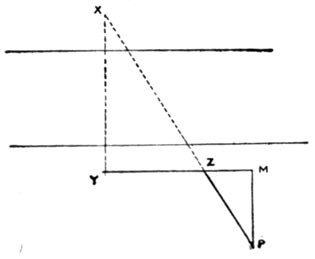 To ascertain the height of a tree, tower, etc., fold a square of paper across, and glancing along the hypothenuse (longest side) of the right angle so found, ascertain at what point your line of sight just catches the top of the object. Then its height is the same distance as the distance from where you stand to its foot, or the length of a plumb line falling from its summit, together with the height of your eye above the ground, added. As your shadow is to your height so is the shadow of the object to its height. The area of a square is equal to the square of one of its sides. The area of a triangle is equal to the base multiplied by half the height. The areas of figures containing more than three sides may always be found by resolving such figures into a series of right angled triangles. Z M : M P :: Z Y : Y X. 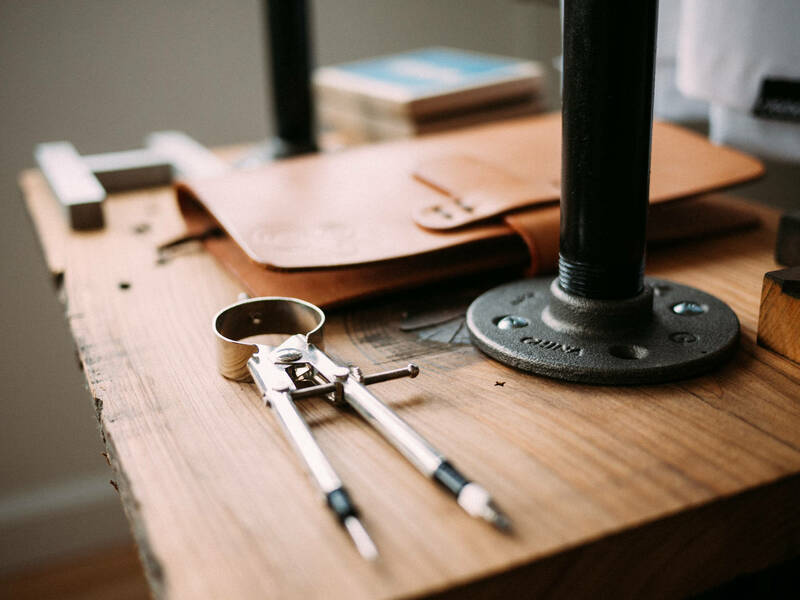 While these simple surveying problems are easily solved, the prospector should never forget that mine surveying requires skill, experience and accuracy. He will do well always to call in the service of a mining engineer should his "prospect" ever become a full-fledged mine, as little errors of direction are particularly costly mistakes when they occur underground. 25 times 10 equals 250 square chains. Whose square root is 15.81. Ans. The plot must be 15 chains 81 links square. Seventy average paces is almost exactly equal to the side of a square acre. Given a claim 10 chains long, how wide must it be to cover 5 acres? 5 times 10 equals 50 square chains. 10 divided by 50 equals 5.